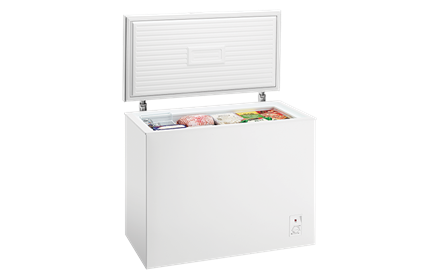 200L chest freezer is rated 4.3 out of 5 by 33. 980W x 560D x 825H(mm) ? Rated 3 out of 5 by Matilda from Not a good start! Soon after the freezer was delivered, installed and powered up, it wasn't freezing beyond the half way mark. By 5 weeks, there was coolant leaking onto the floor and the temperature was rising. It was inconvenient having to remove all of the food to our already full fridge freezer until the serviceman's visit about a week later. He spent an hour testing & replacing a faulty part (all under warranty) and It's been working as it should ever since. 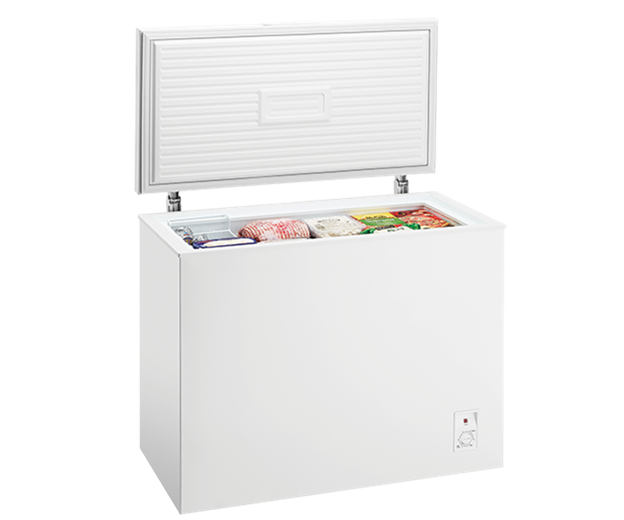 I think an interior light would be a big improvement and I hate the way the freezer lid locks onto the freezer chest after opening, making reopening very difficult.